By using functional appliances while children are actively growing, we can help them achieve a beautiful broad smile. Mouth-breathing can cause narrow arches and unattractive smiles. Children should be evaluated as early as age 5 in order to guide the growth of the child and the eruption of the permanent teeth. Early treatment can regulate the width of the upper and lower arches (jaws), gain space for the permanent teeth, avoid the need for permanent tooth extractions. Also, reduces the likelihood of impacted permanent teeth (avoid the “fang look”), correct thumb-sucking, and eliminate abnormal swallowing and speech problems. In other words, early treatment can solve many problems and prevent more complicated and costly treatment later on. Rick-A-Nator. Fixed orthodontic appliance. Moves lower jaw forward which improves the profile. Corrects the overjet and overbite. Healthy jaw joints and eliminates headaches. Mouth-breathing can lead to orthodontic problems as well as other problems such as lack of oxygen and poor sleep habits. This leaves children prone to daytime fatigue, inability to concentrate in school and headaches. Some children stop breathing at night (sleep apnea) which research shows can be linked to a condition known as Attention Deficit Hyperactivity Disorder (ADHD). These children are often difficult to handle in school as they can become hyperactive and aggressive. These children are often prescribed strong medications. Literature has shown that the solution would be to expand the dental arches with functional appliances and to remove enlarged tonsils which are obstructing the airway. This results in increasing the level of oxygen in the blood which helps prevent ADHD and sleep apnea. Deep overbites and receding lower jaws may cause earaches, stuffiness or ringing in the ears. If infections have been ruled out, functional appliances can be utilized to correct the deep overbite or gently move the lower jaw forward can often eliminate ear pain or stuffiness in the ear. Narrow jaws can confine the tongue and interfere with normal speech. Functional appliances can expand the size of the jaws which can make more room for the tongue and enhance a child’s ability to speak normally. FUNCTIONAL APPLIANCES CAN HELP GUIDE THE GROWTH OF OUR CHILDREN AND CAN HELP CORRECT…..
FUNCTIONAL APPLIANCES CAN OFTEN PREVENT…. Crowded teeth are caused by narrow arches. By developing dental arches at an early age we may prevent the crowding of the permanent teeth. Since 90% of the face is developed by age 12, treatment of the child’s bite problems should be corrected early to avoid more costly and lengthy treatment later on. One of the main advantages of early treatment is that it prevents the need to remove adult teeth later on. 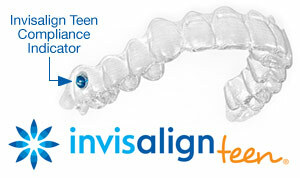 75% of 12-year-olds need orthodontic treatment. By age 12, 90% of the child’s face has developed. By guiding facial development earlier, by using functional appliances, 80% of the treatment can be corrected before the adult teeth are present. Younger children between ages 8-11 are often more cooperative than children 12-14. Children that start with Phase One treatment with functional appliances will spend less time in fixed braces when the adult teeth come into the mouth. Almost 50% of children who need orthodontic treatment due to a bad bite have underdeveloped lower jaws. Functional appliances can reposition the lower jaw forward, improve the child’s profile and correct the bite problems in 7-9 months. Teeth are straightened with braces. Braces usually take 1 ½ – 2 years. Improve children’s self-esteem when crooked teeth and underdeveloped jaws are corrected early. Shortens the time in fixed braces. If treatment is initiated early, many times orthodontic treatment can be completed before the child goes to high school. Sometimes when the bad bite is solved in Phase I the patient does not need Phase II treatment. This results in a substantial cost saving to the patient.